Have they got the flavour right overseas? Following our July post on Nando’s marketing strategy in their home country South Africa, Creative Culture was interested to see how these Peri-Peri grillers have managed to cross borders and seas. The 1,000+ outlets in 35 countries are a testimony to how Nando’s can cross ethnic, political and class divides. But do they do it quite in the same way as in South Africa? Can they afford to go as bold? This month, we took a closer look into how the brand engages with their local consumers in their two dominant foreign markets Australia and the UK. Whether it is because of the Southern Hemisphere cultural ties, the large expat community or because the chicken is just so good, after the first store opened in Australia in 1991, Nando’s spread across the country like wildfire. Nando’s adjusted their tone-of-voice to suit the local market. Despite these adaptations, they maintained their sense of humour and topical commentary. Topical adverts are beneficial in that they link a brand to the news of the day, creating greater impact and deeper engagement than a one-off campaign. This technique helped Nando’s get off the ground, and although they appear to behave while away from home, the South African guest can’t help but publish a few cheeky remarks. When Schapelle Corby, the female Australian convicted for smuggling drugs into Indonesia, was released from prison in 2014 Nando’s released this print advertisement. Some social media goers described the ad as poor taste, indicating that perhaps the Aussies aren’t quite ready for the South African extra hot flavour yet. However you may see it, the advert generated a lot of buzz. In 2013, a series of ads were released showing what happens when people sit down and have a meal together. Nando’s tantalizing humour allows them to get away with serving taboo topics for dinner. 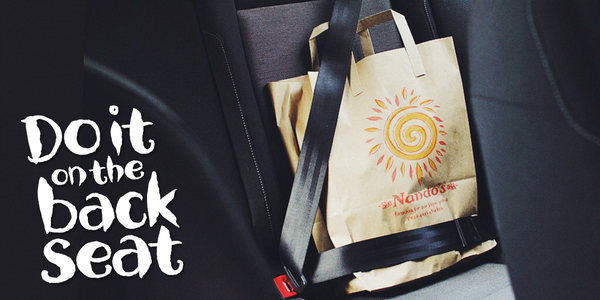 With over 333 stores across Britain, the UK represents a third of Nando’s market. Once again Nando’s toned it down a notch when they hatched in the UK in 1993, not wanting to cause too much chaos in the coop. Social media became their primary marketing medium, due to the high cost of TV and print advertising. By focusing on digital and social media marketing, the brand was able to successfully target the younger consumer and develop an unmatched following. Nando’s UK Twitter account boasts 1.55 million followers who regularly engage with the brand through online campaigns and competitions. Now established Nando’s released their first outdoor campaign in 2014 for cinema goers, 3 ads were created for the Wing Roulette promotion, with a variety of different flavoured chicken wings on one plate… Who knows what you might pick. The ads were also made visible on their YouTube channel and social media followers were encouraged to engage by sharing their finger’s alter-ego. Despite localising their methods and techniques, Nando’s manage to maintain their sense of humour, which is at the heart of the brand. In both Australia and the UK they refrain from using shock advertising and rather, make use of topical advertising methods. They have tailored their tone-of-voice to the local expectations by appealing to their respective sense of humours. Either way you will always pick up the Nando’s accent. That humour is far too cheeky and defiant to go unnoticed, and localising it has been the key to their success. How do you like your advertising served, mild or hot?